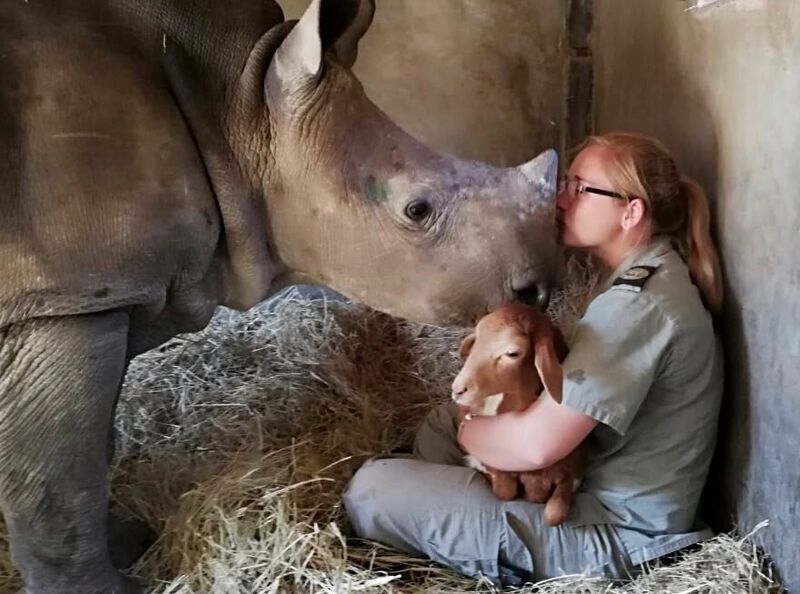 Esme, an orphaned rhino that humans, dogs and lambs have fallen in love with. RESCUED RHINO ESME, MEETS HER NEW FRIEND, MILLIE, THE PEDI LAMB. Rescued Rhino, Esme, goes from Strength to Strength at HESC. 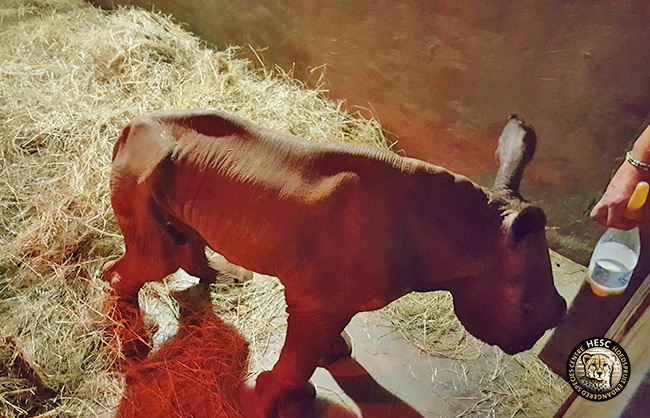 Yesterday evening we welcomed a new baby rhino. Thankfully, this time it was not a case of poaching; however, she needed to be rescued immediately from a situation that could have potentially turned dire without human intervention. A game farm contacted HESC a few days ago, after they had noticed that the calf was not putting on weight but instead losing weight even though she was suckling from her mother….